One of the controversies that has sadly plagued those who embrace Calvin as one of the more astute and faithful theologians concerns the “free offer of the gospel.” Some followers of Calvin, a minority of them, reject the free offer of the gospel. They believe, erroneously, that the gospel is only to be offered to the elect. While listening to a former PCA worship leader lament Calvinism at the recent John 3:16 Conference, he described this strain of Calvinism called hyper-Calvinism. While preparing for last week’s sermon on Psalm 16, I didn’t find Calvin to be particularly helpful. This is a rarity. But he did say something that should set the record straight on what John himself believed Scripture to teach. Calvin himself holds to the “free offer of the gospel” to all. God truly offers Himself to the elect. Notice how he phrases that- God offers Himself, not just salvation. As John Piper noted in his book, God is the gospel. Steve McCoy did a Big 5 on Prayer. Pray with Your Eyes Open by Richard Pratt. A great book by one of my professors that helps you to utilize Scripture in expanding your prayer life. With a study guide included it works with small groups and Sunday School. Or one-on-one discipleship for that matter. A Call to Spiritual Reformation: Priorities from Paul and His Prayer by D.A. Carson. Another great book by Carson. He works through Paul’s prayers in Scripture to reshape our prayer priorities. When I Don’t Desire God: How to Fight for Joy by John Piper. Some more good stuff by Piper on prayer. Desiring God by John Piper. It contains a great chapter on delighting in God in prayer. Let the Nations Be Glad: The Supremacy of God in Missions by John Piper. This contains some good stuff on prayer in connection with missions and delight in God. If God Already Knows, Why Pray? by Douglas Kelly. Glad to see that this book by another of my professors is back in print. Answering God by Eugene Peterson. He opens up the Psalms to us as tools for prayer. Sacred Disserations on the Lord’s Prayer by Herman Witsius. The Way of the Heart by Henri Nouwen. A bit more experiential, utilizing some lessons from the desert fathers. A touch mystical to balance our tendency toward rationalism. The Valley of Vision by Arthur Bennett. A great, convicting collection of Puritan prayers to guide your own prayers. Praying the Lord’s Prayer by J.I. Packer. Packer. Got it? Praying: Finding our Way Through Duty to Delight by J.I. Packer and Carolyn Nystrom. See above. 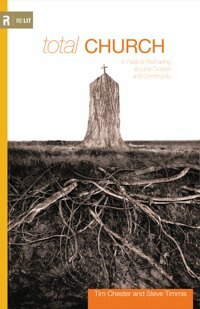 Heart of Prayer: What Jesus Teaches Us by Jerram Barrs. If it is half as good as his book, The Heart of Evangelism, it is a must read. Prayer and the Knowledge of God: What the Whole Bible Teaches by Graeme Goldsworthy. I’ve developed a fondness for Goldsworthy’s books. He utilizes biblical theology well. Praying Together for True Revival by Jonathan Edwards. This book, edited by TM Moore, looks interesting. 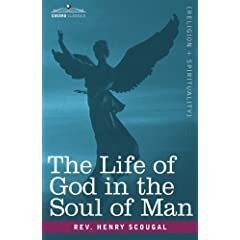 Henry Scougal gets to the heart of nominal Christianity in his book The Life of God in the Soul of Man. This book is foundational for the ministries of such godly men as George Whitefield and John Piper. The nominal Christian “accepts” the doctrines of Christianity, but they make no difference in how they live because they do not love Jesus Christ and the doctrines of Christianity. Their hearts are not moved to worship and obedience.